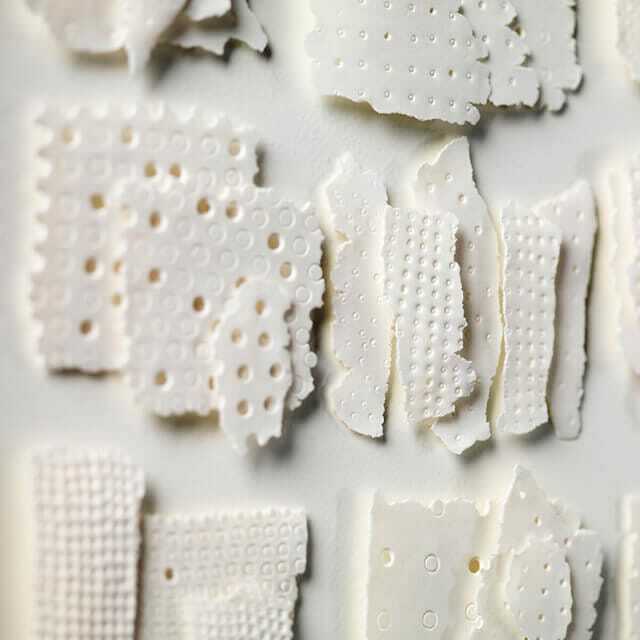 These striking 3D compositions are created using multiple layers and fragments of thin porcelain. 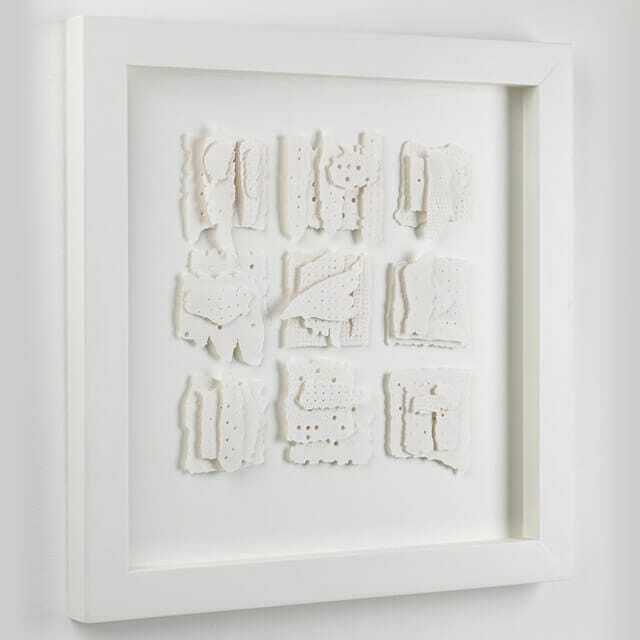 Fragments artworks use layers of handmade and etched white porcelain to create beautiful 3D compositions. The play of light and shadow between the layers adds an intriguing depth to the work. The artworks use soft shadows to highlight etched circular patterns and textured edges. As the layers build, they offer new visual connections – in the same way that we lay down memories to build our own personal picture of the world. 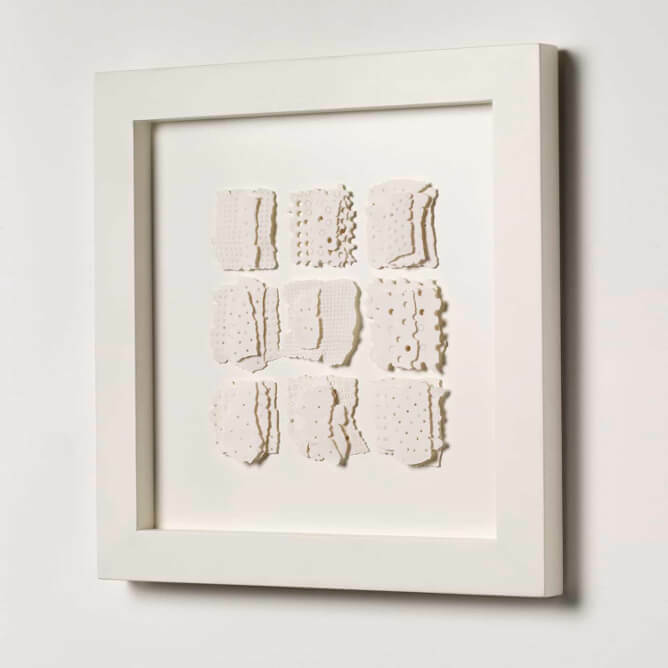 Fragments are made to order in small (35cmx35cm) and large (50cmx50cm) variations. Due to the nature of the method and material, no two pieces are quite alike.